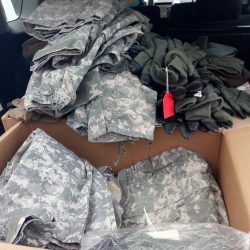 Reports are coming from volunteers in Ukraine who started to receive boxes from recent United Help Ukraine’s shipment: Volunteers in Kyiv received 3 boxes of uniforms, as well as military boots, gloves, summer hats, belts, thermal underwear, raglans, and socks. 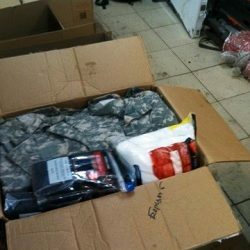 Soon to be distributed to soldiers in volunteer battalions. 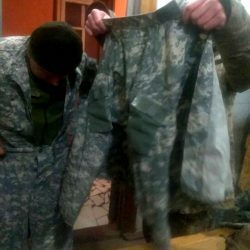 Warm gloves, thermal underwear, uniforms, and boots have been delivered to the 5th battalion UPA, 2nd Dnipro military unit, and to the 95th battalion. 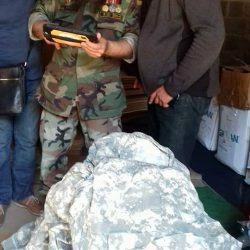 Update (1/22/2018): uniforms, thermal underwear, under helmet hats, and first aid kit components already have been delivered to the soldiers on front lines. 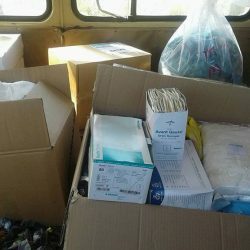 Two large boxes with thermal underwear and uniform pants and shirts have been received by volunteers of ASAP Emergency Medical Service Khottabych and will soon be delivered to the front lines. Thanks to volunteers of ASAP EMS Hottabych and Yuliya Murashko​, Tamara Rudolph​, Геннадий Мурашко​, Yuri Yankovski​! 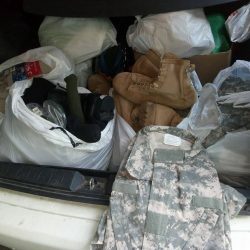 Combat application tourniquets (CATs), military uniforms, boots, thermal underwear, socks, t-shirts, hats have been delivered to the front lines. 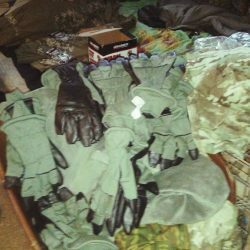 Volunteers in Ukraine received 10 pairs of boots, 15 uniforms, thermal underwear, t-shirts, socks, hats from United Help Ukraine. 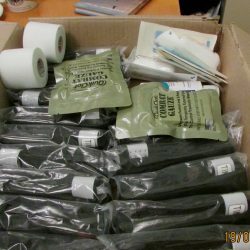 Everything soon will be delivered to the East for the Volunteer Battalions. 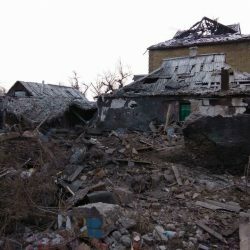 Thanks to Sasha Krushevskaya​, Олексій Тараканов, Marina Baydyuk​.